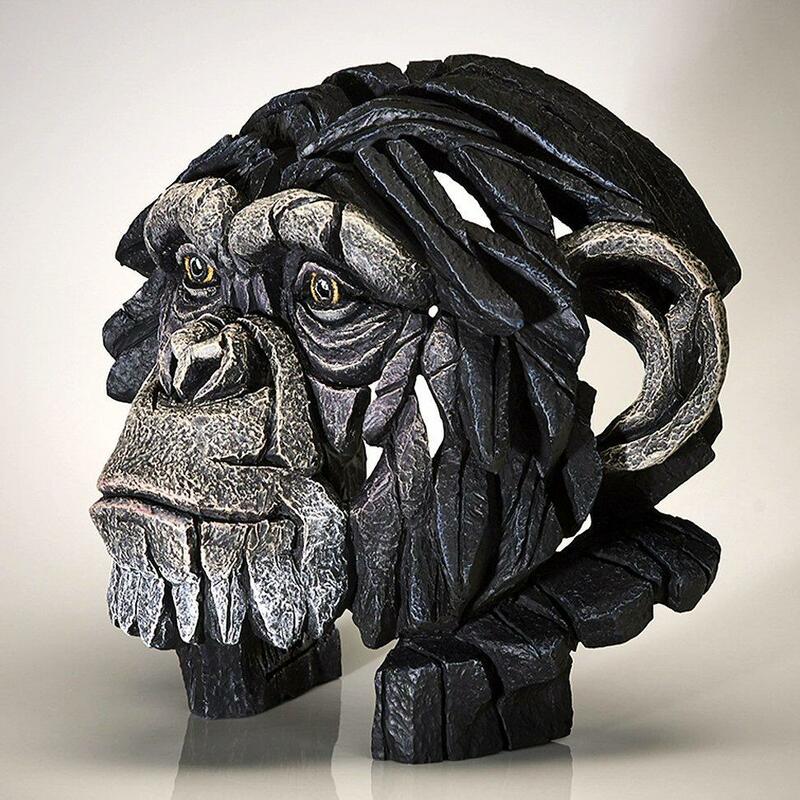 Chimpanzee sculpture by Matt Buckley from the EDGE collection. One of the planet's Great Apes along with gorillas and orangutans, chimpanzees are native to the forests and woodlands of Central Africa, Our closest cousins, chimpanzees share over 98% of our DNA. They exhibit many human traits and emotions and even make their own tools, after humans they are the most intelligent of the planet's primates. 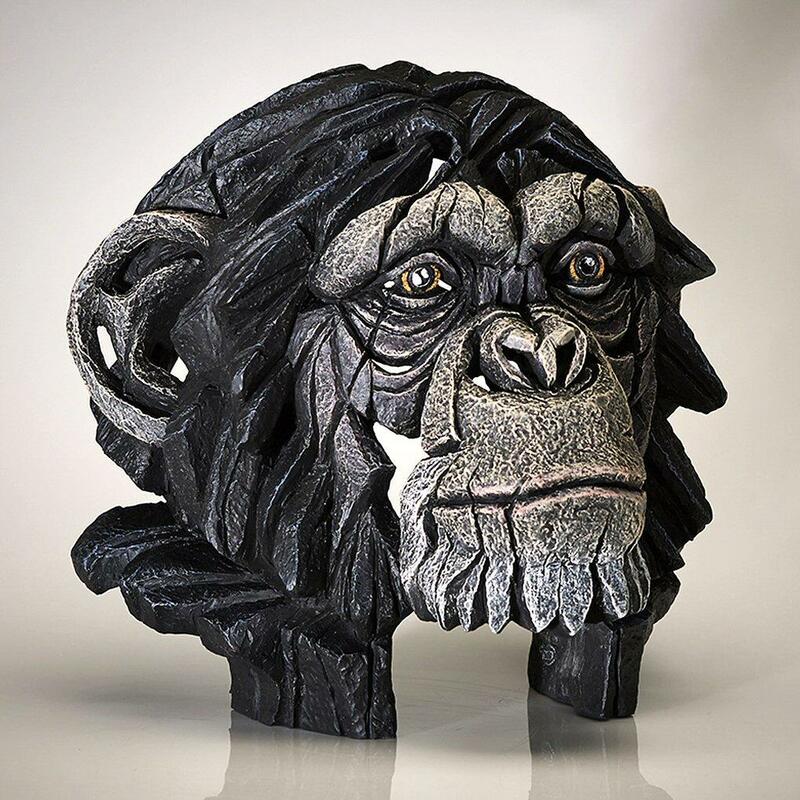 Great apes like the chimpanzee have been part of popular culture for many years and are probably best known for their part in films like, Planet of the Apes, Tarzan and The Jungle Book. 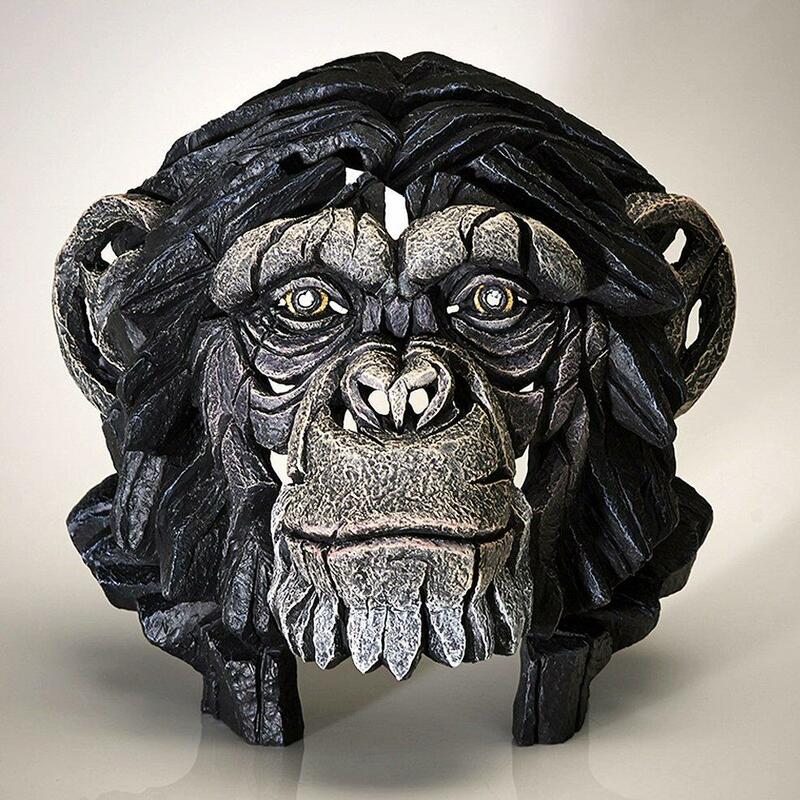 Matt Buckley's magnificent sculpture brings the spirit of this charismatic creature into our homes.